What do you guys think? Was this a dog-whistle **? The latest Murdoch Murdoch episode makes so much more sense now. Left Wing Israeli Newspaper thinks this was blatant Anti-Semetism. 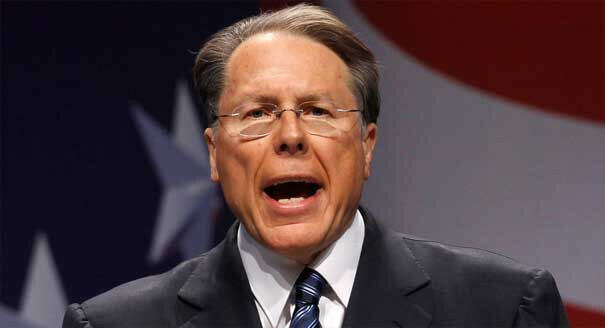 Longtime National Rifle Association chief executive Wayne LaPierre Thursday addressed criticism of his organization following the Florida school massacre, and his combative defense included expressions of dog-whistle anti-Semitism reminiscent of the "Protocols of the Elders of Zion," with descriptions of a powerful plot to destroy America's freedom by "European-style Socialists" who he said had taken over the Democratic Party. LaPierre vowed that the NRA intends to go far beyond its role as a gun lobby, to warn Americans that all of their individual freedoms are being destroyed by a condescending intellectual elite. "I promise you this - the NRA will not only speak out, the NRA will speak out louder and we will speak out stronger than ever before," with its own television station and expanded media operations to resist "the Socialist corruption of our government." Again and again in his speech to the Conservative Political Action Conference (CPAC) in Maryland, LaPierre identified the enemies of the NRA, and of America, as Jews - from Karl Marx to Bernie Sanders, from Hungarian-born Holocaust survivor George Soros to former New York mayor Michael Bloomberg. LaPierre singled out Senate Minority Leader Charles Schumer of New York as one of the Democrats who are "liars to the core." "History proves it. Every time, in every nation in which this political disease rises to power, its citizens are repressed, their freedoms are destroyed, and their firearms are banned and confiscated. It is all backed in this country by the social engineering, and the billions, of people like [philanthropists of Jewish lineage] George Soros, Michael Bloomberg, Tom Steyer, and more." LaPierre, who has led the NRA for three decades, outlined a vision of a vast conspiracy led by "European-style Socialists" who, he said, have turned the Democrats into a "party which is now infested with saboteurs" and which has infiltrated and taken over such bodies as the FBI, the U.S. intelligence community, the Department of Justice and the Internal Revenue Service. Their goal? "Absolute control, in every corner of our government, is their ultimate dream. These intellectual elites, they think they're smarter than we are. They think they're smarter than the rest of us. And they think they're better than we are. They truly believe it, and you know it, the privileged and the powerful. They think they deserve to be in charge of every lever of power. "But you know what? The United States Constitution makes it absolutely clear that they are not in charge. We, the People are in charge of this country!" (03-12-2018 04:37 AM)Count Iblis Wrote: [ -> ] The latest Murdoch Murdoch episode makes so much more sense now. did he identify those people as jews? or he just listed a bunch of people who happened to be jews? (03-12-2018 06:48 AM)EVILYOSHIDA Wrote: [ -> ] did he identify those people as jews? or he just listed a bunch of people who happened to be jews? The latter. It seemed unintentional. i am against anti-jewishness but it is ridiculous to say someone is anti-semitic because he criticizes George Soros. They're just cherry picking. He mentions Obama, Elizabeth Warren, Kamala Harris, and others who aren't Jewish. That's what I wondered about also. Ah, OK. The author was just trying to discredit him with an anti-semite suggestion. Alex Jones has been accused of being anti-semitic for pointing that George Soros helped the nazis during WW2.